Integral Business Counsel’s attorneys have represented emerging and medium-sized businesses and c-level executives on a wide variety of employment matters including drafting and implementing employment manuals and policies as well as drafting and negotiating employment agreements, separation agreements, confidentiality/non-compete agreements, equity compensation plans, commission plans and agreements, offer letters, and a variety of other employee intake and termination documents. IBC can represent you in drafting and implementing HR policies and procedures tailored to your needs. In most cases, we will develop such policies and procedures in conjunction with developing forms to address your HR needs. IBC excels at drafting forms for hiring, performance reviews and terminations. When used in collaboration with the HR policies and procedures we develop, these forms will streamline repetitive HR transactions while providing maximum protection to you as an employer. IBC represents both employers and c-level executives in the negotiation of Employment and Equity Incentive Agreements. Whether representing you as an employer or employee, we strongly, but diplomatically, advocates your position — maximizing your interests while not jeopardizing your new employment relationship. When representing executives, our attorneys excel at interpreting complex equity incentive programs to provide a clear understanding of the equity interest being provided. IBC represents both employers and c-level executives in the negotiation of Separation Agreements for executive employees. These agreements often involve severance arrangements, confidentiality/non-compete/non-solicitation agreements, resolution of complex equity incentive interests and, in some cases, re-purchase of equity interests. 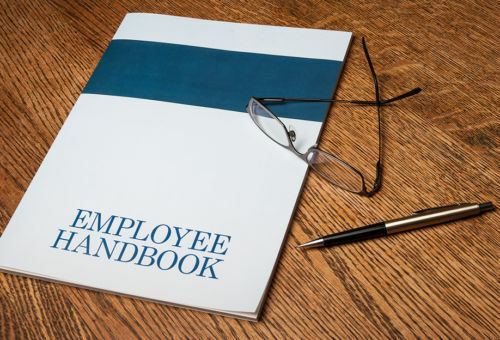 Whether you are an employer or employee, we can quickly review the relevant documentation to assess your situation and suggest a strategy that maximizes your interests, while attempting to achieve an amicable separation. Once a strategy is chosen, our attorneys will strongly advocate your position to achieve the best result possible. IBC represents clients in the development of equity incentive programs including incentive stock options, non-qualified stock options and restricted stock grants. We begin by drafting a Stock Plan and the form Option Agreements and Restricted Stock Agreements under which equity interests will be issued. Our attorneys can work with you to structure the plan within the context of your existing equity structure, and to present the terms of the plan to your Board of Directors and owners for approval. Following approval of the plan, we can assist you in implementing, tracking and maintaining the plan. We encourage you to read more about our practice philosophy and what it’s like to work with us. For more information about our legal assistance in employment matters, contact IBC.